​Since 2012 our links have been strengthened through our partnership with the charity Christian Relief and Education in South Sudan (CRESS), who have local operational resources to deliver the much needed aid and support on the ground. As a church we have been hugely blessed by our partnership with our Christian brothers and sisters in South Sudan. Since January 2017 when violence broke out in South Sudan our prayers have been with the people of Kajo Keji, many of whom are now refugees in Uganda (the video gives more details). The international children's charity Stand By Me recognise that each child is unique but like all children, the children in their care need unconditional love and acceptance. Because the children they support come from complex backgrounds, they have developed four key care programmes to meet their individual needs; providing children's homes, care centres, schools and support for families. Moved by the commitment of the local church in Bekoji, Ethiopia, to provide education, Stand By Me adopted the Bethany School where today they provide the poorest children with a quality education, daily food, health care and family support. They later opened the Bekoji Children’s Home to care for orphaned and at risk children. A number of people at St James' sponsor children in Bekoji through Stand By Me. The photo shows Clare and Peter Kent with Birhane with her little sister Mare (on her back!) during a visit in the summer of 2017. The charity also operates projects in other parts of the world; Columbia, Dominican Republic, Nepal, India, Burma and Romania. 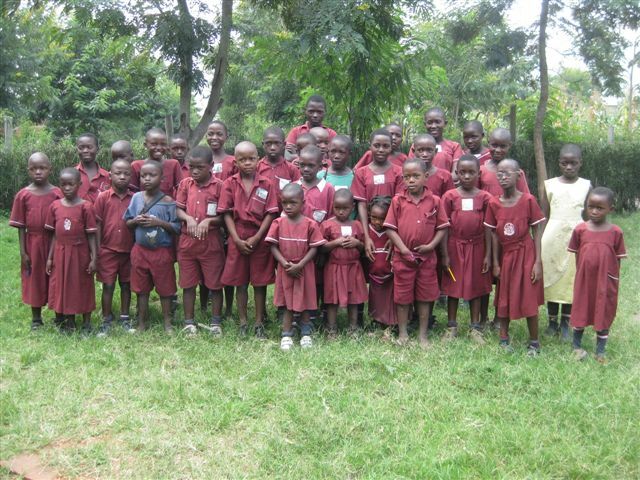 The Bishop Bezerebende Primary School (formerly Bishop Jackson School) in Kasese, S W Uganda provides education for over 500 pupils who come from the poorest parts of the region. Jill and Francis Chadwick, members of St James', through Fiphai organising committee, annually raise funds for the school. Jill and Francis have seen the school grow from the bare site to the fully functioning school it is today, providing orphans and children from the poorest part of Kasese with a good education. Since Bishop Jackson's first visit to Devizes in 2003 the Chadwick's annual Garden Party and fundraising has raised in the region of £20,000 for the school. In 2015 and again on 2017 a number of people from St James went to Tijuana in Mexico to build a home for a family in need of a secure and dry shelter. Both builds were completed in 5 days, in 38 degree heat and with only hand tools, making it a great environment to engage younger people in doing God’s hands-on work and to shed a few Kgs. The trip was organised by the U.K. youth charity, Urban Saints in partnership with U.S. based Amor Ministries. 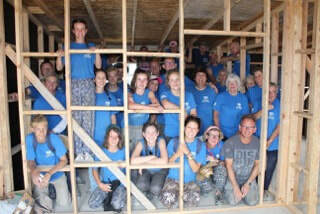 Amor have been running these short term mission trips for over 36 years and now built over 19,000 homes.